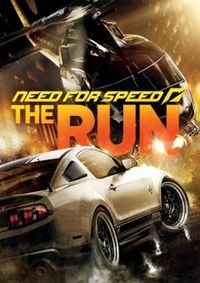 Need For Speed: The Run is the 18th instalment in the long-running Need For Speed series of racing games, developed by EA Black Box and published by Electronic Arts. Since the release of Need For Speed: Undercover, Black Box started working on a new title to continue the action focused street-racing gameplay of their previous games. The Run had an extended development window to give the developers time to create a game with more quality than the previous ones, which only had 1 year of development. According to EA Games, Black Box has been working on The Run since 2009, so the game had a development window of about 3 years before being released. It uses DICE's Frostbite Engine 2.0, which is the same game engine used in the first-person-shooter Battlefield 3. Need For Speed: The Run features a fictional storyline and characters. The basis of the game is an "illicit, high stakes race" across the United States, starting in San Francisco and ending in New York, with stops through many other locations along the way for a total of 3000 miles (4828 kilometres). This makes The Run the first game in the series to use real locations. The cops and the mob play an important role during the run, as they will pursue the player through the races and try to take him down. Jack Rourke is the main character and one of the best drivers around. His arrogance has led him into a debt he can't repay, so the mob has put a price on his head. His only help is Sam Harper, a woman with ambition, street smarts and a penchant for fast cars. Sam fronts Jack's buy-in for The Run, and the final prize is $25 million. If Jack wins, he will take a percentage of the money and will be able to pay his debts to the mob. With Sam as his eyes and ears, all Jack needs to do is win. The gameplay is based on other NFS games. The driving model of the game is described as something "between SHIFT and Hot Pursuit 2010", not as arcade-styled as Hot Pursuit, but neither as simulator-styled as SHIFT. An XP (Experience points) system is used for unlocking cars and events. The game also feature a Rewind option to allows the player to restart an event to their last checkpoint if they wreck their vehicle or rewind their vehicle from a collision or missed opportunity. The game also features quick time events, making it a first in Need For Speed series. The game shipped in two editions, the normal one and a Limited Edition, which comes with 5 additional events and 3 exclusive cars: the Chevrolet Camaro ZL1, the Lamborghini Aventador LP 700-4, and the Porsche 911 (991) Carrera S. More cars and events are available if the user has pre-ordered this version of the game. See "Pre-order Packs" below for more info. The content of each pack and the Limited Edition was later made available via the Heroes and Villains DLC. It's called The Run. An illicit, high-stakes race across the country. The only way to get your life back is to be the first from San Francisco to New York. No speed limits. No rules. No allies. All you have are your driving skills and sheer determination as you battle hundreds of the world's most notorious drivers on the country's most dangerous roads. In Need for Speed The Run, you'll weave through dense urban centers, rocket down icy mountain passes and navigate narrow canyons at breakneck speeds, all the while evading a relentless police force prepared – and willing – to use lethal force to take you down. A time-limited demo was released on 18th October 2011 on Xbox LIVE Marketplace, and a PlayStation 3 demo was released on 19th October 2011 on PlayStation Network. The demo for both platforms was available until 1st November 2011. The demo featured a race in the Desert Hills of Nevada, and the player had the chance to drive the Lamborghini Gallardo LP 550-2 Valentino Balboni. After that race the player would face a treacherous shortcut in Independence Pass. If the player could refer a friend, he/she would unlock the Porsche 911 (991) Carrera S. A PC demo was not released. Depending from which store the player ordered The Run Limited Edition, three different pre-order packs were available. Each one of these packs featured two specially tuned cars that resembled famous cars from previous NFS games, along with a number of specific Challenge Series. The content of each pack was later made available via the Heroes and Villains DLC. Underground Challenge Series Preorder Pack (Amazon) - three events and two cars inspired by Need For Speed Underground: the Nissan 370Z (Z34) Underground 2, similar to Rachel's Nissan 350Z (Z33), and the Nissan Skyline GT-R (R32) Underground, similar to Eddie's Nissan Skyline GT-R (R34). Most Wanted Challenge Series Preorder Pack (Gamespot) - three events and two cars inspired by Need For Speed Most Wanted: the BMW M3 E92 GTS Most Wanted, similar to Razor's BMW M3 E46 GTR, and the 2012 Ford Mustang Boss 302 Razor, similar to Razor's Ford Mustang GT. Carbon Challenge Series Preorder Pack (Origin) - three events and two car inspired by Need For Speed Carbon: the Audi R8 V10 Darius, similar to Dariu's Audi LeMans Quattro, and the Chevrolet Corvette Z06 Carbon Limited Edition Cross, similar to Cross' Chevrolet Corvette Z06. Nintendo Wii: Mario Kart wheel. PC: All X input or Direct X compatible controllers, in other words, they will all work and will need to be configured in the game. PlayStation 3: Generally all steering wheels based on the PS3 controller will function. Wheels will need to be configured / mapped in game.